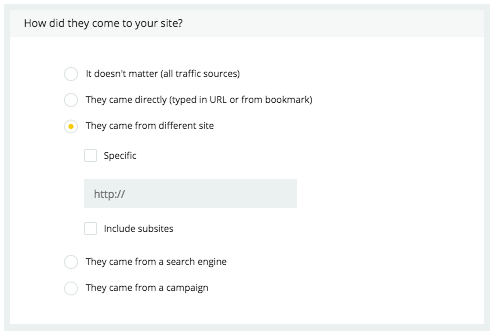 Targeting visitors who are coming from a specific source is a great method of segmentation, as it allows you to get insights about particular visitors and their needs depending on the source of traffic. To target visitors from a source of your choice, you need to create a new segment. 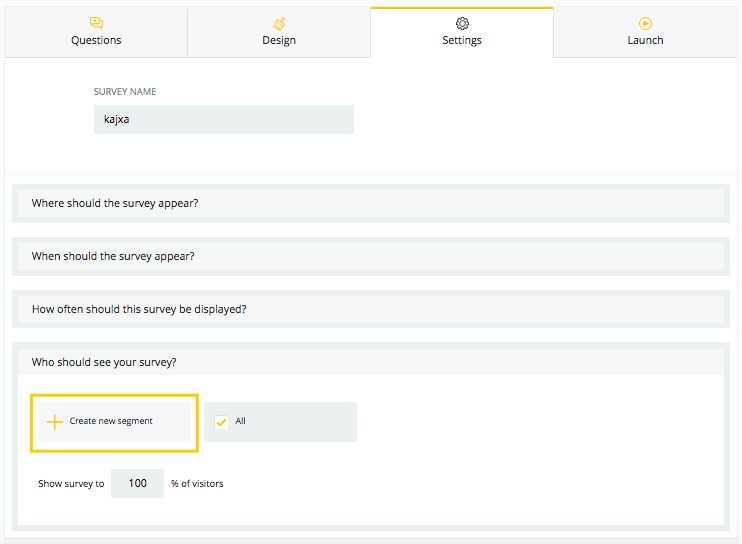 Go to the Settings of your survey and open Who should see the survey? section, then click on Create new segment button. 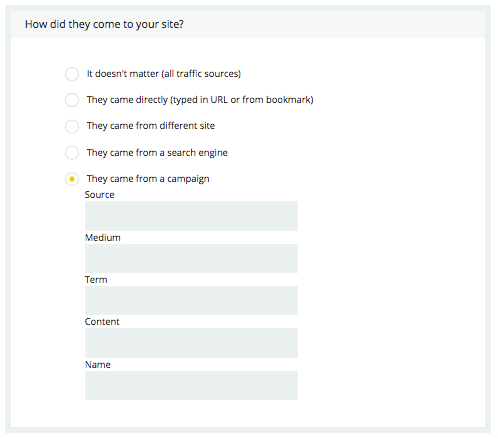 From a menu of targeting conditions pick How did they come to your site? came from different site - either generally or from a specific page. It’s especially useful for tailored and contextual questions. came from a search engine - meaning they have found your website after they searched for something in google, yahoo, etc.